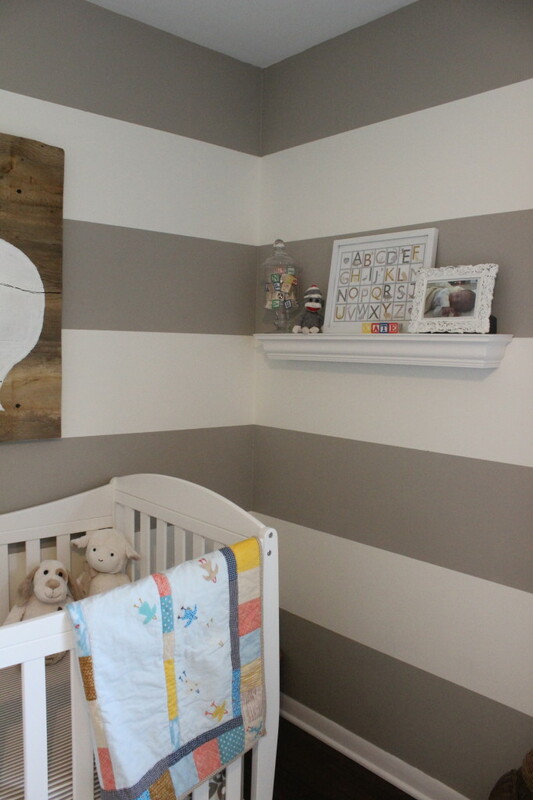 I’ve been having fun personalizing and adding more color and “girly-ness” to our formerly gender neutral nursery. 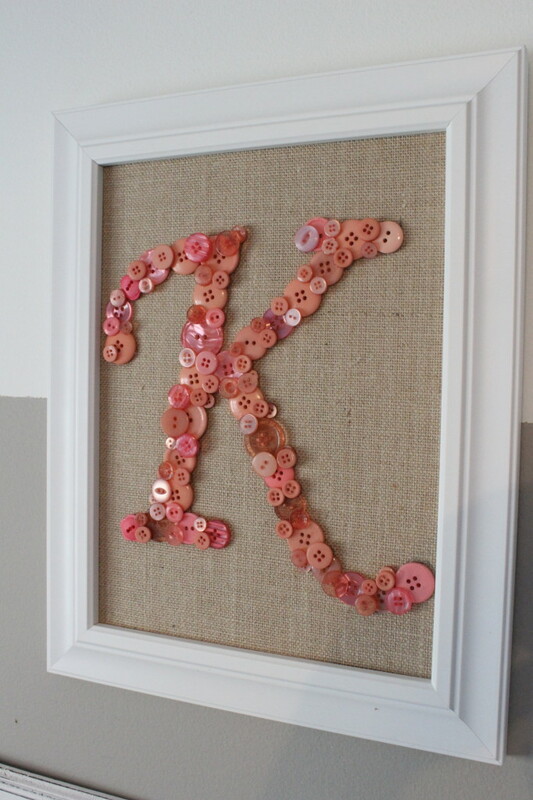 I shared plans to make a K monogram out of buttons last month. For my supplies, I ordered 200 pink/coral buttons from Etsy, and then picked up a 9×12 frame, Fabritac fabric glue and these neat pre-made burlap-covered boards from Michaels, which made it so easy. 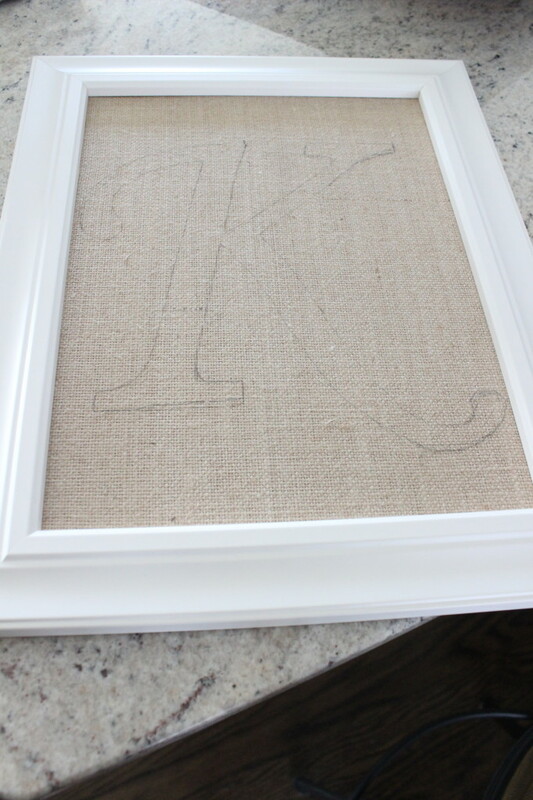 Then I printed a K on the computer and outlined it in pencil on the burlap. Next came the fun part.. gluing on all the buttons. I started with the biggest ones and then layered on the smaller ones. It took less than an hour. 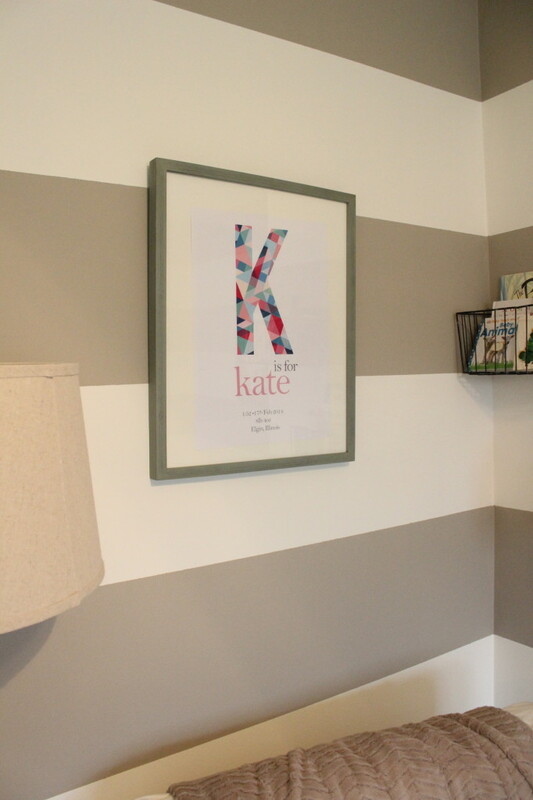 I debated hanging it on the outside of Kate’s door, but decided we didn’t want to put a hole in it, so I added it to her gallery wall. It was a gift from one of Ben’s clients. I think it is off of Etsy. More personalizing was framing a photo of her, spelling out her name in blocks, and draping a colorful quilt (handmade by Ben’s Aunt) over the crib. 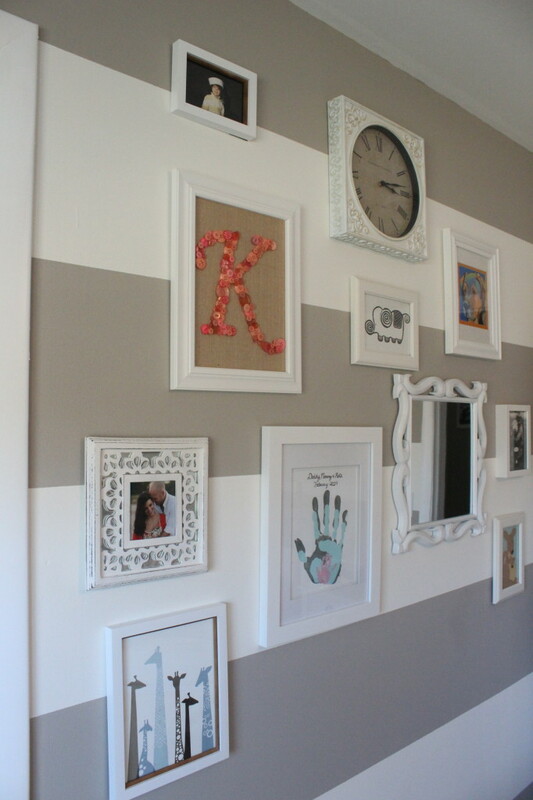 That’s all I have planned in the nursery for now, but I’m sure the photos and things will rotate over time. 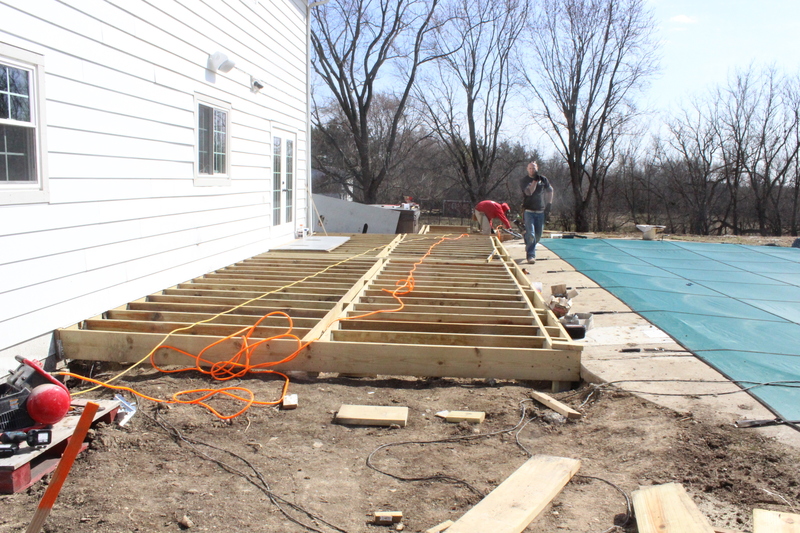 Right now, our sights are 100% set on finishing the deck. Here is a sneak peak of some of the progress.